Jillian and Zach were married on a brisk but sunny day in March in the Chicago suburbs. It was one of those days when you could feel the pages turning from winter to spring, and the winds of a new season suddenly made themselves known. A perfect day for a Wedding. Jillian got ready in her childhood home which was filled with laughter from those who have stood by her for so many years. It's always a treat to be taking photographs in a bride's childhood home where photos of them as babies and then in braces grace the walls. We know that in a few weeks time photos of them in a wedding dress will be placed next to those milestones and that's a pretty amazing privilege to capture. 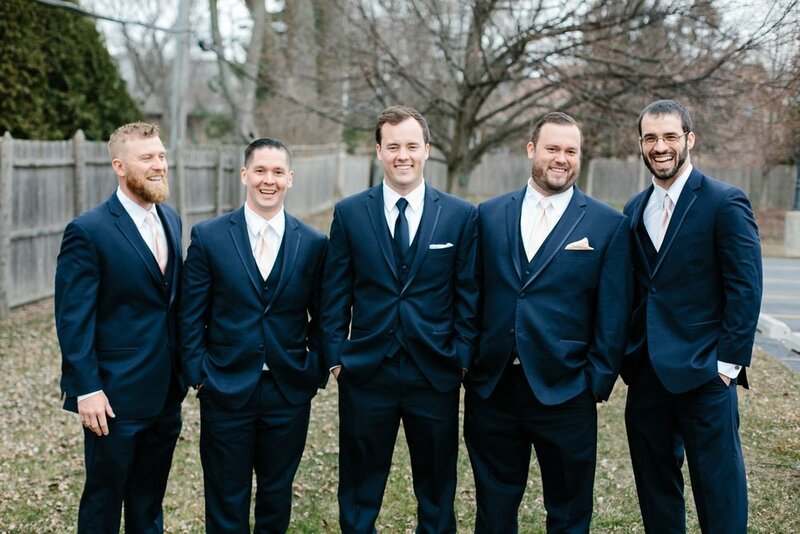 Zach and his friends got ready in the couple's new home a few miles from the church and there was a calm among their joking and laughter that made us feel right at home and like old friends. 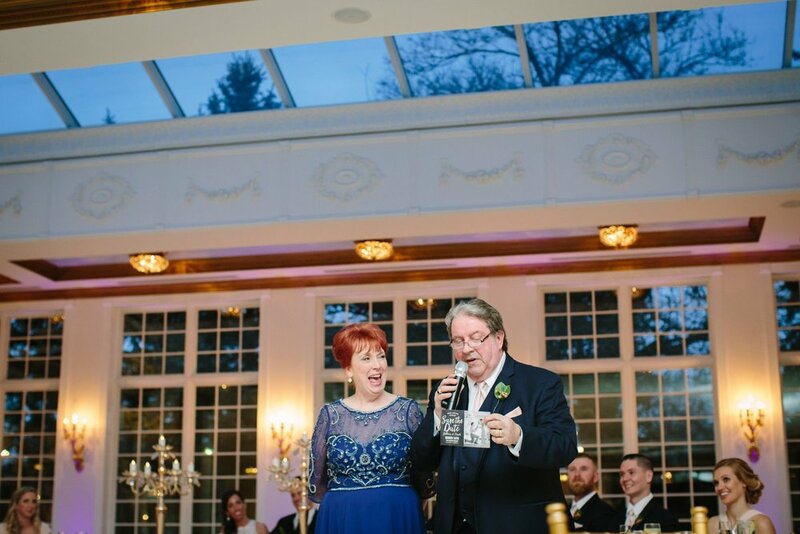 They waited to see one another until Jillian walked down the aisle with her Dad, which made for a sweetly emotional moment between the two of them as Zach saw Jillian for the first time. Their ceremony was officiated by a husband and wife with sage and loving wisdom bestowed on the new couple throughout the ceremony. The guests made their way to the stunning Patrick Haley Mansion for cocktail hour and the reception after the ceremony which was a warm welcome from the March breezes as the sun set and the fires crackled. The reception was lavishly decorated but easy and comfortable - just the right mix a party should have. 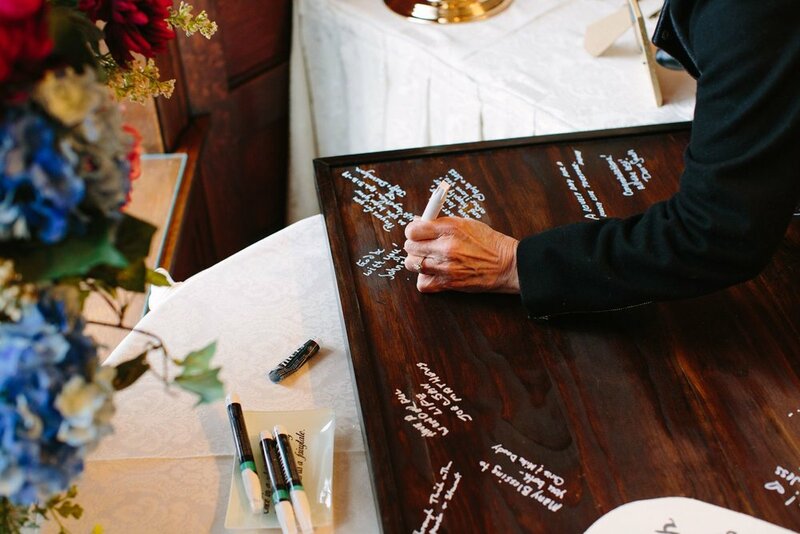 We loved seeing Jillian and Zach's family pour out stories and toasts on the newlyweds. The day was simply a joy to photograph. Thank you for trusting us with your wedding, Jill and Zach - we know you have so many years of happiness ahead! Congratulations!